Automatic Identification System, more popularly known as AIS is a system which helps to pinpoint the location and other navigational statistics of ships. AIS uses VHF radio channels as transmitters and receivers to send and receive messages between ships which endeavors to fulfill a lot of responsibilities. 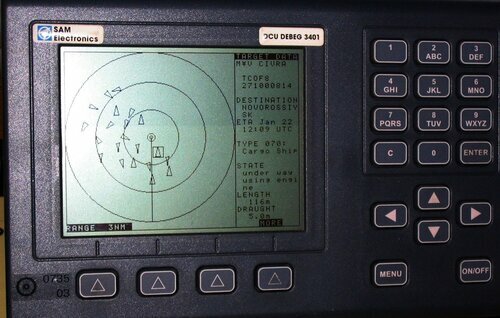 AIS behaves as a radar and enables ships to correspond with other ships and in the case of coast guards, aids them in tracking any untoward sightings in the ocean. Additionally, it also helps in navigational purposes like transmitting alternative routes in case there are chances of any on-course collision between two ships. 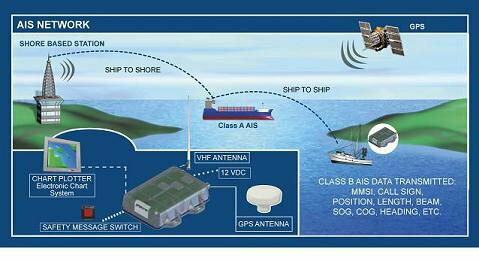 AIS also enables in sending distress signals so that rescue operations can be carried out for the affected ship. Also, in cases where accidents have occurred and evidence needs to be found out about the last known position and route of the ship, it is the AIS that assists the authorities to find the required details. Just like the Black Box in an airplane, the AIS has managed to revolutionize and streamline marine travel, navigation and communication aspects. In today’s times, AIS solves many problems pertaining to the transmission of communication across the naval communication lines. By using normal communication channels VHF radios, AIS solves the problem to integrating contemporary technology with the already existing ones. Also since the transmitting and receiving codes are automatic, it becomes quite evident as to which ship is transmitting or receiving signals thereby making matters of keeping track of the ship simple and uncomplicated. Since marine rules stipulate that every ship needs to have an AIS fitted in its marine equipment catalogue, it becomes easier and feasible for pinpointing the locations and routes taken by ships in the high seas and oceans. This part becomes more relevant considering the incidents and events that have occurred and are occurring in these past few years, because of the threat of pirates and marine terrorism increasing more and more every day. Therefore with the usage of a device like AIS such complications can be avoided as coast guards can help shipmen navigate away from those water parts where the threat of piracy looms. Right now, it also has to be understood that AIS is burdened by distance problems, in the sense that AIS is only applicable for area of 74 km. But as more and more ships find the system to be useful and highly facilitative in their navigational routes, the time is not far when AIS will encompass a wider area than what it covers now. Already, it boasts of facilities like providing satellite connectivity and internet plugging to enable a much better scope for the gadget’s assistance. By making use of a gadget like the AIS, charting the routes and locations of ships has become very simple. Marine travel is one of the oldest forms of transportation and with the inclusion of such a gadget in routine marine travel, the older means of transport has become quite contemporary as it has become possible for ships and coast guards to be aware of the happenings in the waters immediately surrounding them. AIS is the answer to all communication problems that were being caused while a ship was in the water and being an appropriate answer suiting all intents and purposes, the AIS technology is something that will evolve and develop as years progress by, making matters even more convenient for the marine vessels and travelers in the days to come.